Our wall stickers use a high quality adhesive that sticks firmly to smooth surfaces, and can also be removed easily without leaving any sticky residue. 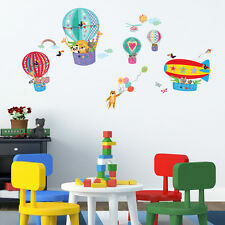 You can decorate kids rooms and nurseries without having to worry about harmful ingredients from Decowall premium stickers. Sticker have no any background. Default color shown in photo. 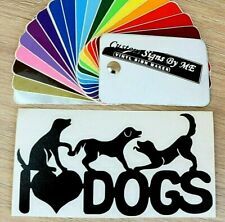 I LOVE DOGS Sticker Vinyl Decal Adhesive. Safety Stickers. Dark Grey. Dark Red. Don't forget to leave details about the COLOR on check out or we will send it in default color. Gordon Setter Dog Sticker Vinyl Decal Adhesive. Sticker have no any background. Default color shown in photo. Dark Grey. Dark Red. Don't forget to leave details about the COLOR on check out or we will send it in default color. Cavalier Cocker Spaniel Dog Sticker Vinyl Decal Adhesive. Sticker have no any background. Default color shown in photo. Dark Grey. Dark Red. Baby Pink. Don't forget to leave details about the COLOR on check out or we will send it in default color.